Accident claims relating to winter sports are relatively common because of the dangerous nature of activities like skiing and snowboarding. If you have suffered an injury while on the slopes, you may be able to claim compensation. Contact our experienced solicitors on 0800 808 9740 for a free initial consultation about your potential claim. Skiing and snowboarding can result in a range of injuries, from breaks and fractures to more serious head injuries and spinal injuries. Injuries to the joints including elbow and knee injuries are particularly common. Can I Make a Skiing Accident Claim? Sometimes, accidents occur that involve a single skier or snowboarder and could not have been prevented by anyone else. For instance, a skier may land badly after a jump, accidentally fall over or collide with a tree. In these cases, an individual is usually able to claim for their injury and any medical expenses through their travel insurer (provided they are on holiday at the time). However, some injuries are caused by the negligence of someone else. This is known as a non-fault accident and in these cases, individuals may be able to bring a personal injury claim against the negligent party. The team were very informative and helpful when it came to helping me understand what was going on. Experienced In Accident Involving Winter Sports? If you have suffered an accident or injury while skiing or snowboarding you may be able to make a compensation claim. Some skiing and snowboarding accidents can result in serious injuries that may prevent you from working or require extensive treatment or physiotherapy. A successful compensation claim can help to alleviate the financial stress associated with an injury. In addition, it will compensate you for your pain and suffering. If you think you have a valid compensation claim, you should contact a specialist personal injury solicitor. Call our team of personal injury lawyers on 0800 808 9740 to discuss your potential case in confidence. 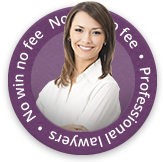 We usually work on a no win, no fee basis and will provide comprehensive expert advice throughout the course of your claim.